GameTime is helping turn Riverview Park in Melbourne, Florida, into a “recreational destination,” with a beautiful new playground as its centerpiece and loads of other activities to draw local families and visitors alike. Riverview Park has suffered from disuse for years, since many local residents were unaware of its existence and others felt it needed some added amenities. Soon, however, the 15-acre park will feature a new IONiX playground, complete with swings and a Shadow Play Sky Runner to help draw crowds and encourage them to be active. 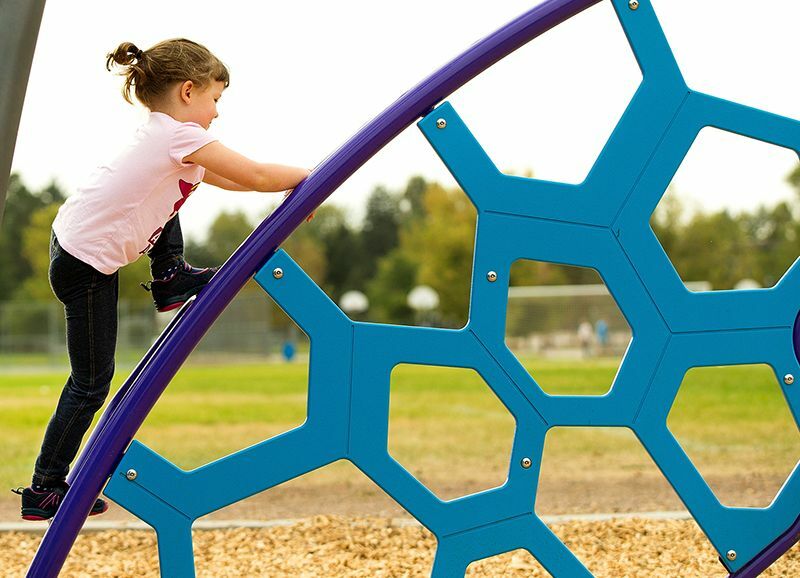 IONiX play systems aren’t only fun — they're beautiful, with eye-catching shapes and colors, sure to liven up any landscape even when kids aren’t present. Plans to renovate the park have been in the works for nearly a year. City officials turned to GameTime and Dominica Recreation Products, GameTime’s exclusive representative in the Melbourne area, to design a playground that would serve as a centerpiece to the revitalized park. GameTime architects used advanced rendering technology to show Melbourne officials their future playground. This service is part of GameTime’s design offering and helps people see video renderings of the playground and the surrounding environment during the planning stages. The Riverview Park project will also include a disc golf field, sand volleyball courts, and a splash park.